Born in Chicago, Illinois, Diane grew up in a large, close family and went to work in retail at a young age. Diane’s tenacity led her to become the youngest manager of the toy department at age sixteen at Steinberg and Baum. In the same vein, Travis continued her journey in the marketplace through cost accounting at Johnson and Johnson, and then finally to finish college at Governor State University with a degree in Business Administration. After a brief detour into the fast food world to train for Burger King management, Travis joined PBX telephone systems as a purchasing manager. Here she worked her way through multiple transfers until she landed in Orlando, FL, sparked with an idea to form All Media Group, the first organization dedicated to installing wire and cable for large projects and corporations. After a successful last project with AMG, Diane moved with her husband to Clermont, Florida, enticed by the water-skiing in the area and settling due to her love of the rolling hills, beautiful lakes, and great outdoor athletic opportunities. 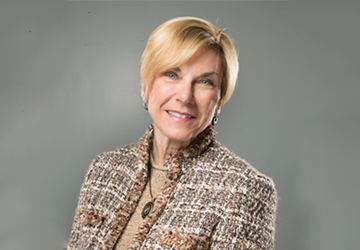 Diane Travis has served as City Council Member for the city of Clermont, Florida since 2014. Over the course of her twenty six years in Clermont, Travis helped mayor Gail Ash draft revolutionary plans for Victory Pointe, a filter marsh in downtown that helps to clean Clermont’s lakes, showcase its trails, and promote local businesses as a centerpiece of historical downtown. Travis currently owns Travis Realty Group and emphasizes the importance of workforce housing and manageable economic growth in her campaign for Seat 5 in her upcoming term run. Gail competes internationally in duathlons, traveling to Australia to compete in the ITU World Championships. She loves living a healthy lifestyle and thinks firemen and policemen are the local community superheroes that have the highest impact on communities.